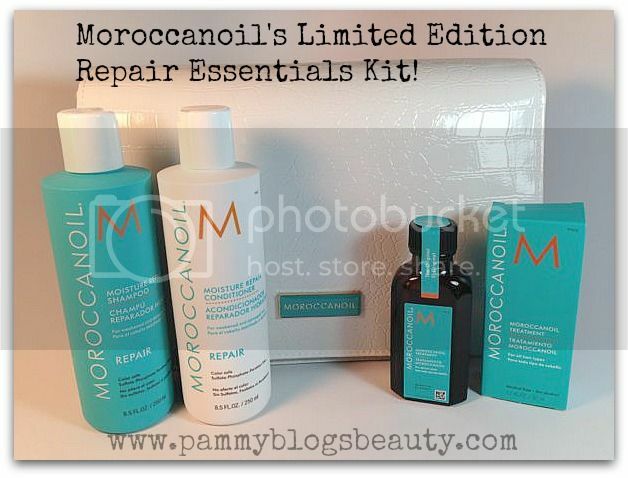 Pammy Blogs Beauty: Holiday Shopping Gift Guide 2013: Moroccanoil Limited Edition Holiday Essentials Kits: Repair Essentials Review! 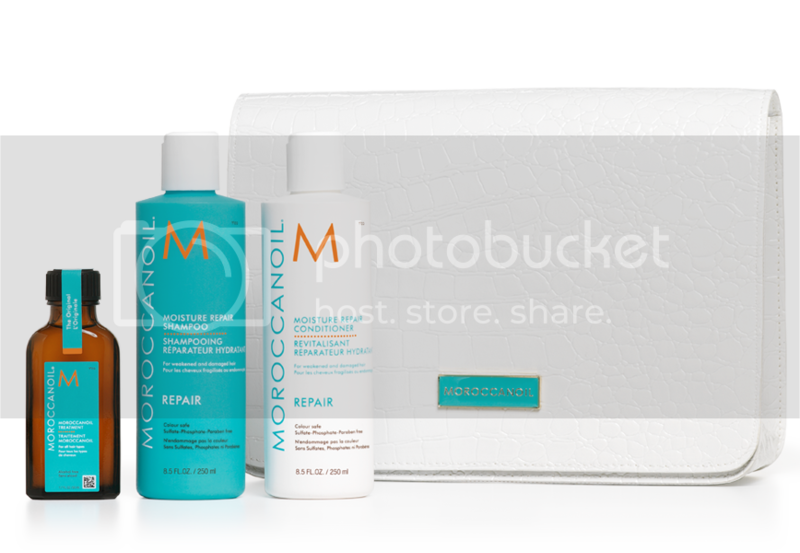 Holiday Shopping Gift Guide 2013: Moroccanoil Limited Edition Holiday Essentials Kits: Repair Essentials Review! Looking for more gift ideas? Do you have a hair-care lover on your gift list? This special value sets from Moroccanoil might be just what you are looking for! The products are fabulous and the sets are really an incredible price for what you get! Since I am dealing with dry/damaged hair (from Highlighting and Blow-Drying), I choose the Repair Essentials Kit to try out. This kit literally has everything you need to cleanse and nourish your hair: Moisture Repair Shampoo and Conditioner as well as the famous Moroccanoil Treatment. Plus, it all comes in this cute little white clutch! Very "gifty"! Moroccanoil's Moisture Repair Shampoo and Conditioner set is just what I need: gentle cleansing with serious moisture! I love the super thick and rich feel of these products. For me, it is always a good sign when a shampoo or conditioner is ultra thick and rich. My hair is so dry that the heavier and richer a product is, the better! This shampoo cleanses my hair completely without leaving it feeling dry. My hair is easy to manage afterwards with ease of combing (a feat, I tell you!) and decreased frizz. Now, my hair is super thick. So, I did not have any trouble with these products weighing my hair down. However, if your hair is very fine, then these products could possibly weigh down your hair. I love how nourished and moisturized my hair feels after using this shampoo and conditioner set. Plus, the lather is great and I love the scent, too! Have you jumped onto the Moroccanoil/Argan Oil bandwagon yet? I have tried other brand's versions of Argan/Moroccanoil hair care lines and I must say, I think that Moroccanoil's original treatment and the Repair Shampoo and Conditioner are amongst the best Argan products that I have tried! I totally recommend this line to anyone with dry/damaged hair that is in need of moisture and shine. 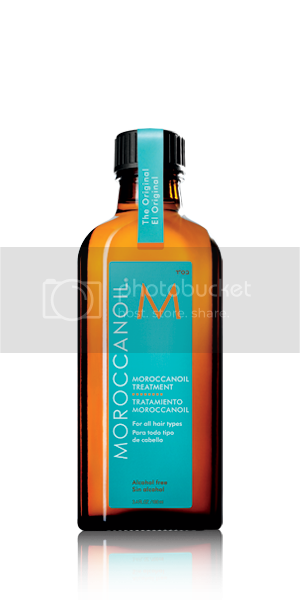 Moroccanoil products are available at salons, spas and online. To learn more, please check out Moroccanoil's website and social media accounts: twitter and facebook. I HAVE noticed how popular argan oil is! It's awesome. I didn't realize this was the brand that started it all!!! these are great gift ideas, too. Thanks for sharing!! Those look great! I really love argan oil for my hair. Great picks! I haven't used Moroccan oil products in years. That clutch is worth it by itself! I really do love this line of products and back before my twins were born I used it often. Great post. Finally I saw the comment feature :-) I like moroccan oil, I use it a lot for my hair although it's from a different brand. This is some of my fave. hair care ever!